There are quite a few third-party Twitter clients for iOS, but we've tested them all out and found that only a handful of them are worth your time. To be specific, four third-party clients shined above the rest, as well as one web app from Twitter itself that you'd want to use if you're looking for simplicity over too many features. Not all third-party Twitter clients are created equal, which is why we took a look at several important factors across every iOS application we reviewed. All of the below points correlate to the chart above. App Store Rating: Every client on this list (except Twitter Lite, which is not available in the App Store) has a 4.3 rating or higher in the App Store. Usually, anything above a 4 is positive, meaning it has a relatively minimal number of negative reviews. Number of Accounts Supported: Most people stick to one account, but it's important to look at the number of accounts each client supports, especially if your job entails managing multiple Twitter accounts. Price for Pro Version: Although all of these clients are free to use, four have pro versions available that range in price from a $2.99 one-time payment to $29.99 a month. Pro Features: Paid versions usually offer more features and get rid of advertisements, and the ones in the chart are the most important ones to be excited about. Ads: Do the third-party clients feature ads? If so, what kind? These range from none to static banners to promoted tweets. Must Create Third-Party Account: Only one app in this list requires that you create an account in order to log in to and use your Twitter account. 3D Touch: All apps have 3D Touch capabilities inside of the app, such as peek and pop support. iCloud Sync: Whether or not the app syncs data on iCloud. Gesture Shortcuts: Not including 3D Touch, here we're looking for apps that use swipe gestures to get things done faster, such as undoing edits. Siri Integration: Some apps can be used with Siri right away, after giving permission to let the app send data to Apple to process your spoken requests. There's also Siri Shortcuts, which makes life easier by letting you create custom Siri commands to use with the app. Only one app so far lets you take advantage of Siri for a customized hands-free experience. Change Home Screen App Icon: Apps can include an option for user-selectable app icons, which lets you change the icon for the app that shows up on your home screen. Very few developers take advantage of this iOS feature. Inline YouTube Playback: When you tap on a YouTube video link in a tweet, does it play on the Twitter timeline versus being redirected to the YouTube app? Instagram Image Viewing: The ability to view an image from inside the app when an Instagram link is included in a tweet. Browser for Web Links: On Twitter, tapping on a link redirects you to an in-app browser. Unfortunately, in-app browsers sometimes lack functionality, making them difficult to navigate. Having other options, such as Chrome, makes your web surfing experience easier and overall better. Dark Mode: Twitter has a dark mode that allows users to browse through their timeline in low-light conditions. This prevents eye strain from the bright light emitting from the usual white background. Do the third-party clients have a similar dark/night mode feature? Customizable UI: Being able to customize Twitter's user interface is one of the best features that a third-party client can offer. This includes changing text font and size, moving around the navigation bar, and applying different themes. Landscape Mode: Twitter usually works best when your phone is held vertically (portrait mode), but with screens getting bigger and bigger each year (the XS Max has a 6.5-inch screen), you may want to make the most out of the display by rotating the device in landscape mode when scrolling through tweets. Schedule Posts: The ability to schedule posts on Twitter is an important tool for social media managers and the like. The official Twitter app does not let you do this. Muting: Muting allows you to remove users, hashtags, and certain phrases from your timeline without having to block or unfollow someone. Built-In Link Shortener: Although all links in Twitter count as 23 characters, shortening not only helps with the aesthetic of a tweet, it can also be useful for analytics. Common link shorteners include bit.ly and ow.ly. Connect Third-Party Accounts: We took a look at how well these third-party clients connect with other accounts, including Facebook, Buffer, and more. For apps with built-in link shorteners, you can connect your account on the link shortening service to get analytics on click-throughs instead of just making links look pretty, though most options will require you view that data in the shortener account. Edit Photos: Adding a filter to, cropping, and otherwise editing a photo you upload to Twitter makes the process of tweeting much easier than having to use photo-editing apps first. 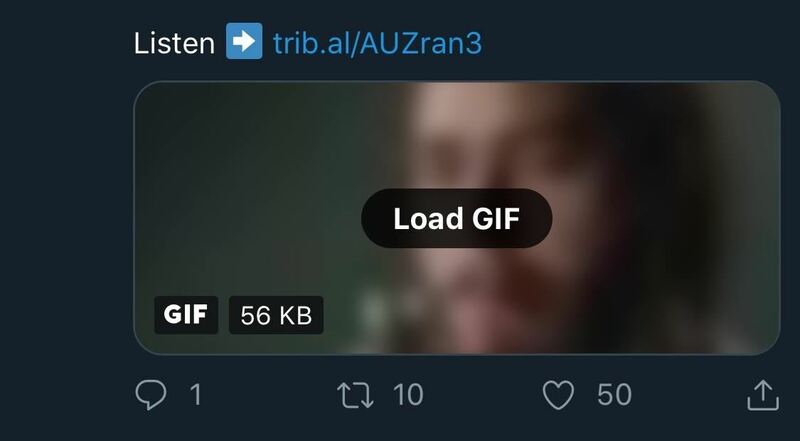 Post GIFs: Can you upload a GIF in your tweet? All of these apps let you do this. Location Tagging: Using your device's location services, Twitter can let the world know where your tweet was sent from. You can also opt out of this feature on apps that support geotags. Save Drafts: If you're not ready to tweet something out, it's important to be able to save a draft for later. The official Twitter app lets you, and so do some of these clients. Search Location: Can you search for tweets by geolocation? Send Direct Messages: Sending a DM to someone on Twitter is a useful tool for private communication, and all of these apps support it. VoiceOver Accessibility: VoiceOver is an accessibility feature that allows those with vision impairment to have their screen read out-loud, including tweets. Only a few support this. Narrowing down the best third-party Twitter clients to only five was a difficult task, seeing as there are dozens available in the App Store that seem like good prospects. As a result, you may notice some of your favorite Twitter clients missing from this list, but it's for a good reason. First of all, they must be free, and the majority of features should not require any in-app purchases. For a paid app, something worth your time would be Tweetbot 5 for $4.99, but since we're only looking at free apps, it didn't make the cut here. Second, these free Twitter clients should all have an App Store rating of 4.3 or higher. There were a few that fit the bill missing from this article, but we cut them because our chosen apps did everything they could and more. There is one exception, however, and that's Twitter Lite, which is not available on the App Store. We included this because it's a good app for users who actually want less noise, which we consider a feature itself. If you're not a fan of all the bells and whistles that some Twitter clients have, and you prefer simplicity and minimalism, Echofon for Twitter offers a clean user interface that still packs a punch with several unique features, one of which gives you the ability to manage as many Twitter accounts as you want. At first glance, Echofon looks a lot like Twitter. The timeline has a similar style, but the media preview in each tweet is more compact, giving other tweets more room to breathe on your screen. On Twitter, it's not uncommon for two tweets to take up your entire screen at once, so it's nice to be able to see more. Unread tweets are kept in sync between Echofon on different iOS devices, so you never have to see the same tweet twice. The navigation bar also sits at the bottom, but instead of only being able to access search, mentions, and direct messages from it, you can also view your profile, likes, followers, lists, and who you have muted. Although Echofon does have a static ad right above the navigation bar, you can close it, and it won't reappear until you force-close the application, which doesn't have to happen very often. The pro version removes this ad (and adds other features, such as Siri), but if you don't want to spring the $4.99 for it, you can live with closing the ad as needed. Using search, you can take a look at what's trending worldwide (or in your country), your saved searches, and nearby tweets. A map with green pins show you the exact location where all local tweets were sent from, but they only appear if the person used location tagging when tweeting. Tap on a pin and you can see the content of the tweet. If you're a fan of Snapchat's Snap Map, you'll enjoy this feature. One of the best features in Echofon is the new tweet section. Not only can you write up a tweet, but you can also schedule it, tag your location, shorten your links, add a description for the visually impaired (VoiceOver), and edit your photos. And when I say edit, I genuinely mean edit. Upload a picture, and you have over a dozen tools to play with, including filters, crop, orientation, text, draw, blur, focus, stickers, frames, redeye, meme, and more. Swipe gestures make it easy to undo edits. By far, it's a better in-app photo editor than Twitter's. Don't be fooled by Echofon's minimal style, though — there's a lot to discover. In the settings, you'll find a good number of options you can toggle, including font size, display style, photo preview, and themes (seven choices are available). If you mess with the settings enough, you can clear up even more room on your timeline so you can see more tweets at once. In advanced settings, you can log in to your Buffer account to shorten links in your tweets, as well as Pocket or Instapaper to save articles from your timeline to read at a later time. One of our favorite features (which Twitter had at one point) is the ability to view Instagram photos directly from your timeline instead of having to tap on the Instagram link to view it from the in-app browser or jump to the Instagram app. Also, you don't have to stick to Echofon's in-app browser — you can choose to open links in Safari instead. Strangely enough, Echofon lacks gesture shortcuts to navigate through the interface, but it's not as big of a crutch as you would expect. Yes, it does lack features that other third-party clients have, like dark mode, but what it lacks it certainly makes up for with simplicity, which can go a long way when you're dealing with dozens of tweets a second on your timeline. Twitterrific, commonly misspelled as Twitterific, has widely been considered the best Twitter third-party client since its initial release in 2007, and for good reason: it was the first to show a character counter in your tweets, display replies and conversation threads in the app, and feature a chronological timeline when Twitter switched to its new algorithm (which it recently reneged on). Another interesting tidbit: the developers behind Twitterrific used a bird icon for their logo before Twitter, and they actually coined the word "tweet." There's no doubt that Twitterrific is an important part of Twitter's history, but how does the client hold up now ... in 2019? As you might expect, Twitterrific is still managing to stay ahead of the game by offering you a personalized, feature-packed, less-cluttered, and easier-to-use version of Twitter. An experience that lets you manage as many Twitter accounts that you have control of. On the surface, Twitterrific can come off as a bit clunky due to the over-sized profile pictures, embedded images, and videos in each tweet that you see the first time you use the app, but that's misleading because you can customize those aspects of your timeline, as well as many other features. In fact, Twitterrific reigns king among the rest of the Twitter clients in this list when it comes to customization. You can customize fonts (there's Helvetica Neue, Georgia, and eight others), text size (from smallest to giant), line spacing, image thumbnail size, avatar style, application icon, the sidebar, badges, emojis appearing in usernames, and more. There are even two options for night mode: dark and black, the latter which helps iPhone users with OLED screens (iPhone X and newer) save battery because black pixels don't require power. Additionally, Twitterrific is the only app in this list that takes advantage of Apple's user-selectable app icons feature, so you can choose between 13 different icons. So yeah, customization is quite extensive in Twitterrific. At times it can even feel a bit overwhelming, especially because customization on iOS is limited, so this could possibly irk you. As for your timeline, gestures make it incredibly easy to view likes, retweets, conversations, and threads; reply to tweets; and switch accounts. Also, you can view Instagram photos directly from your timeline, just like with Echofon and UberSocial. If you don't like the in-app web browser, you can switch it to an in-app reader mode for less distractions when reading an article. Also, if you want to use an entirely different app for opening links, you can choose Safari, Chrome, or Firefox. Promoted tweets are gone, although you do have a static ad right underneath the navigation bar that sticks out like a sore thumb (you can remove it with the pro version). Syncing to iCloud also allows you to pick up where you left off if you're using Twitterrific across Apple devices. Another great feature is Center Stage, which creates a Rolodex you can quickly swipe through to view all the photos in your timeline. From the sidebar, you can access your mentions, likes, direct messages, search feature, and lists. There's also a feature there called Muffles, which is Twitterrific's version of muting, allowing you to hide users, keywords, hashtags, and links from your timeline. However, unlike traditional muting, filtered tweets are minimized and still appear in your timeline as a single line that you can interact with if you want. Twitterrific also comes with robust support for VoiceOver, the iOS accessibility feature for those with vision problems, placing the app alongside only one other third-party Twitter client on our list (Echofon) as disability-friendly. A few features that we would have liked to see in Twitterrific include in-app photo editing (which Echofon has) and YouTube playback from your timeline (a feature in UberSocial), but we can't be too fussy when there are a ton of features that heavily outweigh these minor inconveniences. There is a pro version for $2.99, which adds a translation service for tweets, as well as an ad-free experience. Formerly known as Twidroyd, UberSocial can be a bit intimidating at first because of how many features and settings it packs into one place, but once you get the hang of where everything is, this third-party client has the potential to offer a more user-friendly experience than Twitter itself. Open UberSocial for the first time, and everything you would want to access is available from the UberBar at the top of the screen. Scroll through it, and you can access your timeline, direct messages, likes, profile, search, what's trending, nearby tweets, settings, and more. If you scroll down enough, the UberBar disappears, which is a nice touch. Again, much like the other third-party Twitter clients in this list, a static advertisement lives at the bottom of the application, but you can get rid of it by tapping on the "X" (it comes back momentarily) or purchasing the pro version of UberSocial for $4.99 (it disappears permanently). Although every Twitter client on this list allows you to upload GIFs from your iPhone, UberSocial has a built-in GIF finder. Unfortunately, it only works when you type in certain keywords, like pizza, sad, dog, and other simple terms, in your tweet. That's a bummer because being able to search would be a much better option. However, you can also post to Facebook from here, a nice touch. UberSocial's best feature is the ability to watch YouTube videos from your timeline instead of being redirected to a browser or the YouTube app. Even if you watch an embedded video, it will play directly in your timeline and not in an in-app video player like on Twitter. Also, Instagram photos can be viewed in your timeline, just like with Echofon and Twitterrific. Also, like Echofon, you can open links in Safari instead of viewing in-app. Other features that work well in UberSocial include Picture Stream, which lets you view only tweets with photos, videos, and other rich media, and Inner Circle, where you can select a number of users and only see their tweets. You also get to manage as many Twitter account as you can handle. Like the previous Twitter clients, UberSocial also has settings you can mess around with to customize the interface, such as text size, navigation bar (you can place the UberBar at the bottom), and theme (there are five options). No, it's not nearly as extensive as Twitterrific, and not as minimal as Echofon, but UberSocial does have enough unique features to warrant its inclusion into our top five list. Unlike the rest of the Twitter clients in this list, Hootsuite isn't exclusive to Twitter. Instead, it's a social media management app, maybe the most popular social media management app, that lets you manage up to three social media accounts for free, including Instagram, Facebook, YouTube, and LinkedIn. More accounts are available for $29.99 per month. If you're looking to manage more accounts from one place, Hootsuite may be for you. One caveat with using Hootsuite is that you must create an account before you can use Twitter, which might be non-negotiable for those who don't want to bother with more accounts. However, the process is fast, and the upside is that you can use more than just Twitter from this app. Once you log in to Twitter, you can view your timeline, mentions, and tweets from your home page. If you compose a tweet, you can take or upload an image, tag your location, and select whether you want to share the content of your tweet to any other social media accounts you have connected to Hootsuite. If you manage the social media account for a brand, this feature is why you might choose Hootsuite over any other client on this list. Another reason a social media specialist might flock to Hootsuite is for the ability to schedule tweets. Compose a tweet, hit "Next," and you can either send the tweet now or schedule it with an automatic timeslot or a custom time. Once you select a date, you can view all of your scheduled posts from the planner section of the app. A third reason Hootsuite is good for social media management is the built-in link shortener. 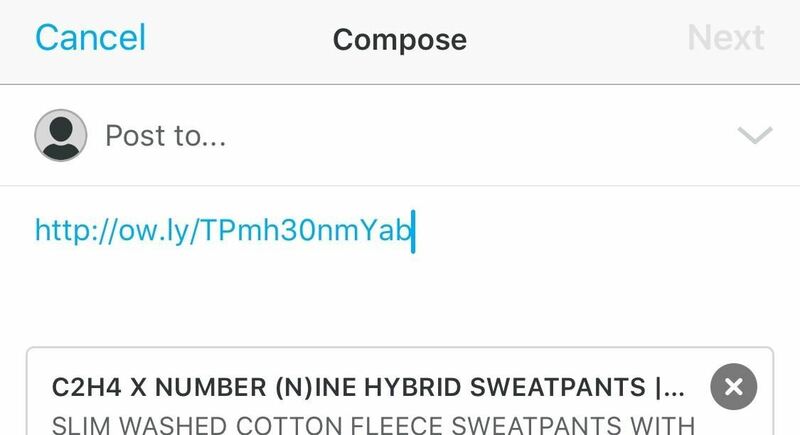 If you toss in a link and tap on the link shortener icon, it will shorten it using ow.ly. Besides making a tweet look better, link shortening is useful for tracking clicks, although tracking is only available in the pro version. If you're looking for a feature-filled Twitter client, Hootsuite is not for you. You can't customize your UI, there is no dark mode, you're stuck with an in-app browser, and there aren't many unique Twitter-centric tools, but Hootsuite excels in simplifying your social media management by giving you one place to schedule and publish posts. Twitter Lite is the only client on the list that's not available in the App Store, even though it's on the Play Store for Android devices, but that's only because it shouldn't be. Created by Twitter, Twitter Lite is exactly what it sounds like: a lighter, faster, and data-friendly version of Twitter that lives exclusively in your web browser of choice. As such, you can only manage one Twitter account. Open Twitter Lite in your web browser, and it's pretty much exactly like Twitter. The navigation bar has the exact same look, except it sits at the top of your timeline instead of the bottom. You can access trends for you, notifications, and direct messages, and you can also draft a tweet and create a thread or add images, GIFs, and even polls, just like on Twitter. You can access your account info in the sidebar and view your profile, check out analytics, manage settings and privacy, and even enable night mode. You might be asking then, why move from using Twitter, which has more functionality, to Twitter Lite? Well, that's because most of the major differences lie underneath the hood. Twitter Lite uses less data, loads quicker on slow connections, works better on shoddy mobile networks, and takes up virtually no space on your device (only 1 MB). According to Twitter, the lighter version is optimized "for speed, with up to 30% faster launch times as well as quicker navigation throughout Twitter." Twitter Lite also features a data saver mode that reduces how much mobile data the app uses even more. If you turn it on, your timeline will be filled with previews of images, videos, and links, and of which you can tap on to load fully. Data saver mode reduces data usage by up to 70 percent. Twitter Lite also works offline, which means that your timeline won't be disrupted if you lose connection for a little bit. Like UberSocial, Twitter Lite lets you watch YouTube videos from your timeline instead of being redirected to a browser or the YouTube app. If the thought of not having an app readily available on your home screen bugs you, you can always add the Twitter Lite website to your home screen directly from Safari. It even looks just like Twitter! As we mentioned, the web browser version of Twitter just isn't as functional as the application, but that's why it's useful. Sometimes you may just want to browse through Twitter without all the features that can get in the way. As the name implies, Twitter Lite is for those who want the Twitter experience, just a little less Twitter-y. However, you'll still have to deal with promoted tweets, something the rest of the clients get rid of. In what was a close contest, we have to give Twitterrific the top spot for the immense amount of features it has to offer. Not only is customization off the charts (two dark modes, anyone? ), but it has unique features such as Center Stage and Muffles, as well as swipe gestures that make the experience of scrolling down your timeline better than on Twitter. However, that's not to say that the rest of the Twitter clients on this list aren't worth considering. All of them shine in different aspects: Echofon is minimal yet feature-packed, UberSocial is intuitive with video playback, Hootsuite is a social media management juggernaut, and Twitter Lite is nicer to your battery and data plan. Depending on what your needs are, any of these could be number 1 on your list.